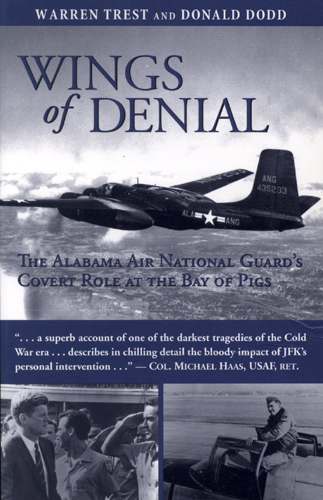 Wings of Denial, published by NewSouth Books, reveals the complete story of four Alabama Air National Guardsmen who died in the invasion. After nearly four decades of government concealment, the names of these airmen were made known and memorialized at the CIA’s Wall of Honor in Langley, Virginia. Military historian Warren Trest tells their stories in a book sure to spark the interest of readers seeking information about Alabama soldiers’ roles in this important episode of American history. Wings of Denial is available from NewSouth Books. You are currently browsing the archives for the Wings of Denial category.